The 1951 Topps Blue Back Baseball Card Set contains 52 cards, which each measure 2 5/8" by 2", and featured rounded corners. 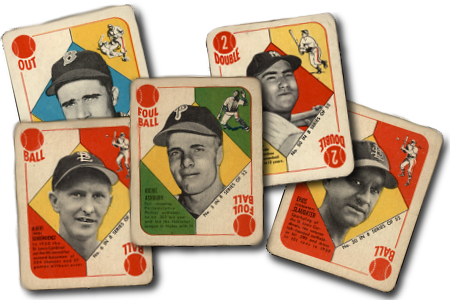 The 1951 Topps Blue Back baseball cards were printed as part of a game set and are more difficult to find than their red-backed counterparts. These cards were printed with a black and white headshot juxtaposed against one of five different colorful background options, and were designed to resemble playing cards. The 1951 Topps Blue Back Baseball Card Set is also special in that, along with the Red Back version, showcase Topps first foray into baseball cards. Click here to check out our blog about The 1951 Topps Blue Backs. 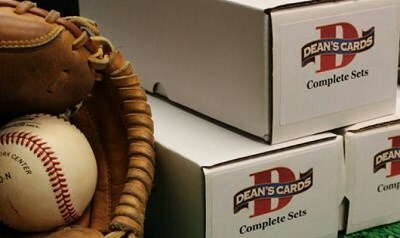 CLICK HERE if you want to sell your 1951 Topps Blue Back Baseball Cards.